Today, social media isn't really all that social. What can a marketer do when people are consuming content individually and even anonymously? Well, we live in an extremely visual world. We are being bombarded daily with images, text, sounds, videos, moving objects, scrolling Facebook feeds, and attention grabbing Tweets. How do you stand out as a brand? How do you get 'seen' instead of fading into the background? 1. 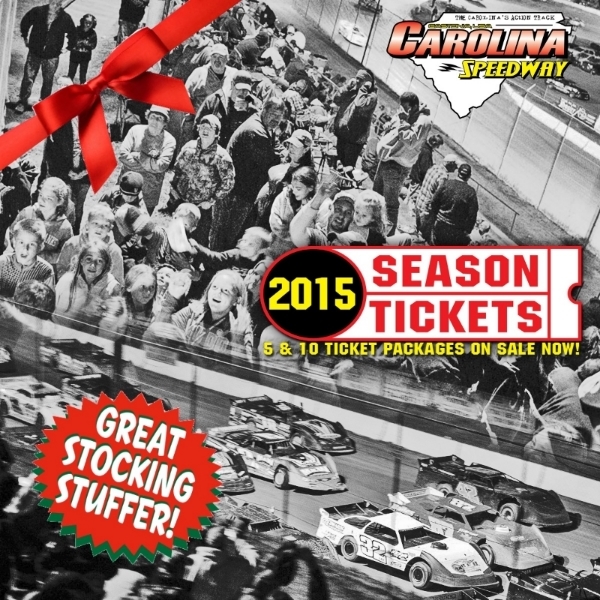 The speedway has a great email list - over 2,000 passionate race fans. We advertise the link to their email fan club on social media and front and center on their website. We email fans every Wednesday (no matter what), and fans get used to receiving this communication. We did do one additional 'last minute' message the Thursday evening prior to the race. 2. We posted various times on Facebook and Twitter a race 'flyer'/poster image. 4. The quickie boost post got them 203 page likes, 60 comments, 193 shares and reached over 71,000 people. Not bad you say...however, we weren't convinced we reached all the 'right' fans, since we knew that the tv celebrity was popular all over the SouthEast, and we wanted to target those who would actually GO to the race. 5. The week of the race, we used Facebook's Power Editor and used the SAME post and targeted men and women ages 18-44 in Gastonia, NC and a 50 mile radius. We did not do a different post for a few reasons - 1. Facebook had previously approved the ad, so we knew we were in the clear and 2. it had TONS of engagement on it with really good looking numbers, so it would look more 'viral' to someone seeing it. Everyone likes to be the 'popular kid!' We spent $50/day for 3 days. With that targeting, we reached an additional 35,000 people, grabbed 215 shares and almost 200 more likes to the page. This was VERY targeted, and with half the budget, we did very well. 6. Finally, we decided to shake things up a little bit and offer the chance to win an autographed t-shirt. This was important as the track had just purchased some new camouflage t-shirts, and wanted to sell them during the race. On Thursday evening around 6:00pm, we posted the image to the right. Almost immediately, we were getting close to 50 shares A MINUTE. By Friday evening, just prior to the race, that post had reached 131,000 people and had been shared 2,149 times - for FREE! In fact, we had such a great response, that the track gave away 3 shirts. So, you're probably wondering how it all turned out, right? Did the track have a big night? Was the celebrity worth it? Did the social media postings work? The short answer is YES - to all of them! They had their biggest race attendance of the season (and they've had some BIG races, with huge crowds), lots of new faces were there probably due to the celebrity, but a way to give the track lots of exposure to gain a new fan was brought to their doorstep, and yes, for $450 total in Facebook Ad spending and the cost of three t-shirts, it was WELL worth it. It should be noted that the track did do guerrilla marketing, a newspaper release and some radio. However, the only advertising medium with analytics, is social media. The biggest take away from this is to remember to use the Facebook Power Editor (instead of just randomly hitting 'boost post'), and really figuring out who you are trying to reach. You'll ultimately spend less by really zeroing in on your target audience. And, use some creativity. Ask for the 'share', give something 'valuable' away, and give people the 'chance' to get something really special if you can. In the end we are all selling an 'experience.' Whether it's a dirt track, a beach vacation, a new piece of jewelry to wear on your special day or a great meal. Let me know if you need help navigating Facebook's boosting and ads! 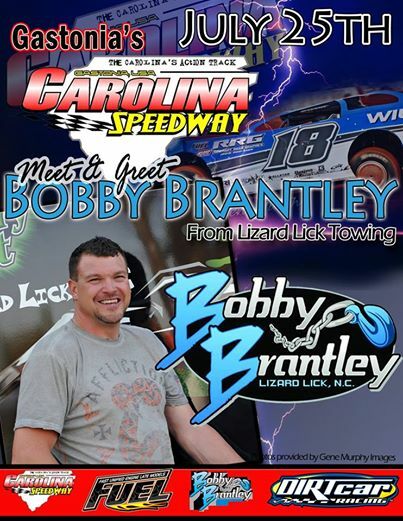 And if you want to check out Carolina Speedway on a hot Friday night - head on over to their Facebook Page! Why Does Facebook Hate My Small Business? 1. Facebook is just like any other 'traditional media' form - really? Yes, think about how you 'ingested' brands and advertising prior to the age of social media. You saw a newspaper or magazine ad. Then, maybe you saw another ad on television or heard one on the radio. Finally, you're driving down the road and there's that burger on a billboard. You stop by, and you eat. Well, social media helps to shorten that 'ingestion' or 'digestion' period, but not by much. You still need to 'see, hear, feel, share, trust, believe or ask' about a product or service prior to purchasing it. All of those forms of advertising were paid. Now, Facebook's asking businesses to 'pay' for that exposure. 2. Pay to play - include social media in your advertising budget. Yes, it's time to actually put pen to paper and include paid social media posts (Facebook boost posts or Twitter ads) into your advertising budget. Comparatively, social media advertising is extremely affordable AND most of all, measurable. You can quantify results and explore click thrus and success rates to determine if the advertising worked, didn't work or you need to do more testing to figure out the best course of action for the next campaign. Television, radio and print are VERY difficult to analyze and determine an ROI. And, the amount of creative dollars involved in producing these 'traditional' forms of advertising are very cost prohibitive. 3. Be creative - think outside the box. The great news about Facebook reducing visibility of posts (it's not great, no one likes to know that no one sees their posts!) is that it's forcing businesses to get creative. Have you used YouTube, Pinterest or Instagram? If you are a visual based company, you should look into it. Google loves YouTube videos, and it could greatly help you gain some search engine optimization - organically (ie FREE). Instagram is hugely popular with the younger population, so if you want to reach that audience, find a teen to help you navigate it! Don't forget about your email lists - this is a GREAT time to beef that up and continue messaging your fans via email and text! 4. Don't just quit. I've heard lots of small business owners say, "Forget it, I'm just dropping my Facebook page, I won't pay to reach my fans, and I'm just mad!" I know it's frustrating, trust me, I do this for a living, and I've seen the best and the brightest in social media lose 30-50% of their audience overnight. They are not complaining, they are working harder than ever to engage and think creatively. When the big advertising 'bubble' burst 5-10 years ago, brands that said we have NO more advertising dollars, dropped all their campaigns and some went out of business. Those that continued to message customers, look into social media and engage in other digital, measurable advertising campaigns won big. Don't just quit. This medium changes by the minute. Stay the course, continue the conversation and spend a little more on your paid internet advertising. 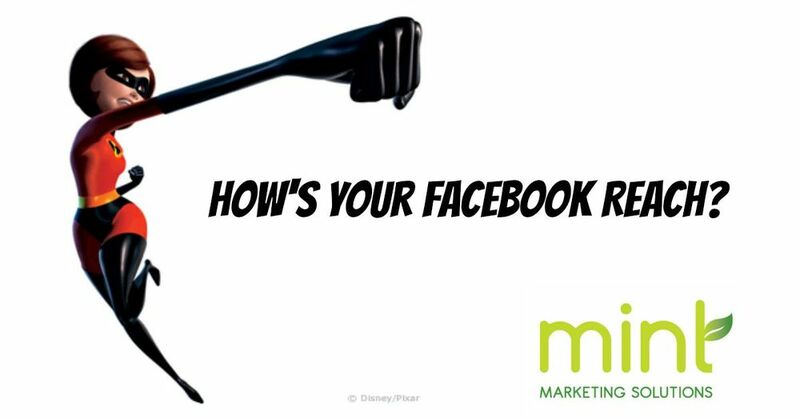 If you truly shut down your Facebook or Twitter page today - completely - you just fell off the face of the earth, how would you talk to your customers? Are they REALLY going to your website? How would you keep the pulse of what your customers want? I'm pretty sure you'd miss them...and they would miss you!